A natural pearl, coral, shell or mineral that is valued for its durability, rarity, portability, beauty, perfection or astrological influence. After Celestial Arithmatic in the January 1998 issue we now present understanding of date and time of birth in various calenders and clocks. In Astrology it is understood that at any point of time nature is governed by a planet and the position of that planet in the horoscope determines how the native will feel or behave.This chapter details the calculation of the planet acting at any point of time and the period for which the planet rules. To predict horoscope, consider the houses one by one and see the planets placed in the house, the planets aspecting it,the placement of its lord and the planets aspecting it, or associated with the lord. Amalgamation of the effects of these units give, us the complete prediction about the horoscope. To time the events in ones life, we use Dasha and transits. Dasha tells which planet is affecting the native at a particular time, whereas transit tells us which natal planet is vibrating because of the transiting planet. A combined result of Dasha and transit gives us the behaviour of the native at a particular time. We have seen how Dasha and transit determine the period of the happening. In this lesson, we shall see how different yogas affect the life of the native. There has been a lot of confusion to the fact whether Sayan system is right or Nirayan. Though being a major difference, yet it has not been well understood. Here, in this article, we try to clarify that the planets in the sky are moving according to Nirayan system, and hence only the nirayan system should be followed in astrology. Sayan system is merely meant for knowing the earth's position with respect to Sun and thus determining the seasons but it is not meant for knowing which planet is passing through which sign. 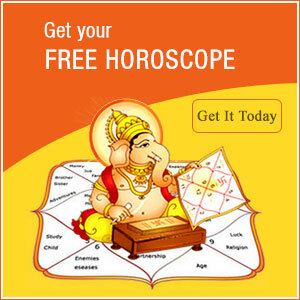 Hindu Astrology is starting a series of lessons on mathematics of astrology. These lessons will give you insight about the calculations and will be useful to beginners as well as the learned. To the beginners it will teach the computations in an easy way and to the learned it will be a good review excercise while adding certain techniques of computations to their knowledge bank. We are listing below some of the lessons which will form part of the series. Further list shall be announced as it proceeds. The chart is pictorial representation of earth. The planets that revolve around earth are placed in the chart indicating their respective position. This lesson describes the method of calculation of planetry positions. Different system of presentation of charts is described so that one may cast his horoscope in the desired fashion. On the conclusion of the series "Learn Astrology' we hereby give answers to many frequently asked questions on astrology, ranging from relevance of astrology and remedies suggested therein, to the deep rooted questions on calculations and predictions. 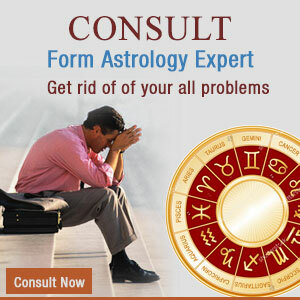 In astrology place of birth is equally important as date and time of birth. This lesson tells you how the place of birth affects the calculations and how much precise we should be in specifying the place of birth - whether a street, a colony, a city or a country. Some important formulas to compute distance are described when longitudes and latitudes are known. The lesson also explains importance of time zone and time correction. It is very important to consider the house division for correct predictions. The planets show their behaviour according to the house they occupy. This lesson describes the method to calculate the dimensions of the house and thus determine in which house the planet lies. It also describes the Western or K P Method of house division. Performing remedial measures & wearing stone for a planet helps increase the positive aspects of the planets in the horoscope. Scientifically, recital of Mantra for a particular planet forms a protection layer around the man. Stone increases the benefic aspects by absorbing rays of the planet and flowing them into the human body.